That is a good question, there are a number of types of Airport shuttle services, ours is a multi-ride service. This means that we take multiple bookings from the Hills District of Sydney into the Airport, Cruise Terminals and Central Station. We collect you from your nominated address and drop you off to the terminal you require. We can also pick you up from the terminal you require and drop you off at your nominated address. We will allocate your pick up time based on your flight departure time, type of flight (International or Domestic), the check in time required and our knowledge of travel time required to get you to the Airport in time to check in. How soon should I book my airport transfer with Hills Airport shuttle Service? Bookings are essential and we recommend you book as early as you possibly can prior to your date of travel. We can accept bookings up to three (3) months in advance of the current month we are in. We cannot guarantee the availability of seats at any time until your booking is confirmed. If you are travelling in school or public holiday periods, book as early as possible to avoid disappointment as seats do fill very quickly during these times. Yes, we can provide baby seats for children aged up to 2 years. You must advise us at the time of your booking if you require a baby seat so we can ensure they are available at the time you are travelling. A small additional fee is charged for the provision of baby seats. Do you charge extra for Tolls? We do not charge for tolls when used but it is up to the driver on the day to select the best route allowing for the number of passengers on the bus, traffic, weather, and any other variable that he encounters. Some days toll roads are not the quickest or most cost effective way to or from the airport. You can insist on the driver using the tolls in which case $20 will be added to the cost of your trip (each way). If you wish to cancel your booking we must receive a minimum 24 hours notice prior to your pickup time, otherwise the full fare must be paid and no refunds will be given. Hills Airport Shuttle operates airport transfers seven (7) days a week, 365 days a year. Our first bus for the day starts picking up in the suburbs as early as 3:00 am, and our last bus for the day can accommodate flights arriving at the Airport as late as 10:30pm (22:30hrs). I need to change my booking. How much notice do I have to give? 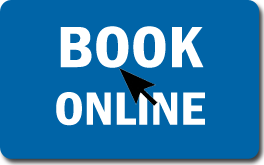 You can change/edit your booking onLine or through our office staff up to 48 hours prior to your booking date. We are unable to change your booking within 48 hours of your booking date. What should I do if I have a problem or complaint/compliment? If you encounter any problems, please call us on 1300 139 271 and we will assist you in any way we can. If you have a complaint or compliment, you must submit these in writing to the company via email to: bookings@hillshuttle.com.au – verbal complaints will not be acted upon. What happens if my departure or arrival is delayed? Give our friendly staff a call on 1300 139 271 and we will reschedule you to the next available and appropriate time for you. What is your smoking/drinking/abusive behaviour policy? Hills Airport Shuttle has a policy of no smoking and no drinking in any of our vehicles. Hills Airport Shuttle reserves the right to refuse to carry and/or eject any person who is thought to be under the influence of drugs or alcohol and/or whose behaviour is considered to be abusive, offensive or could pose a threat to the driver, the vehicle or the other passengers. How many people can you fit on the bus? All our shuttle buses are 14 seat Toyota Hi-ace commuter vans. We are able to accommodate bookings for 13 passengers – these are generally charter bookings and can be priced for you over the phone by one of our helpful office staff members. Will we have to share the shuttle bus? In most cases, yes. There will be times when you may be the only booking for that shuttle. In the case of large groups, you will most likely have the vehicle to yourselves. Can I change my pick up time or request a specific pick up time? We will try to accommodate any request to change your pick up time or request for a specific pick up time. At times, due to other bookings or if the requested pick up time does not allow enough time to get you to the Airport within your check in window, we will be unable to change the pick up time. What time should I put on the online booking form as my departure/pick up time? Basically, you will need to enter the time of your flight on this form. From there we will advise you of your allocated pick up time. For passengers arriving on International flights, our meeting point is at McDonalds inside the International Arrivals Hall. For passengers arriving on Domestic flights into the T2 Terminal (ie: Jetstar, Virgin, REX, Horizon, Aeropelican, etc.) our meeting point is at Baggage Carousel 6. For passengers arriving on Domestic flights into the T3 Terminal (QANTAS flights) our meeting point is at Baggage Carousel 1. Our drivers can offer assistance with carrying your luggage to and from your front door to our bus, all you need to do is ask. Due to Sydney Airport Security Regulations we cannot assist you with your luggage into the terminals at Sydney Airport as the driver must remain with the bus at all times. Luggage trolleys are available at both Domestic and International terminals. We do not carry all your luggage for you as we are not a ‘Porter Service’. Due to current Occupational Health and Safety regulations and Workcover Insurance regulations we CANNOT carry your luggage up or down flights of stairs and/or landings to and from unit blocks, residential and commercial dwellings. Special exemptions can be made for individuals who are either elderly or in some way incapacitated or disabled where it is difficult for them to carry their luggage for a certain distance. Prior arrangement and agreement with us must be made for these special exemptions. We accept Cash as well as Visa, MasterCard and American Express. Please note that a surcharge applies to all credit card transactions. Due to current privacy and security policies we are unable to accept payment via cheque, or money order. 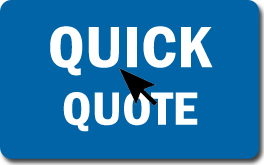 Yes, we can service suburbs that are not listed on our website although this will only occur in special circumstances. For example, if a large group is travelling from a number of different addresses, we will consider providing pick-ups in the other suburbs we don’t currently service. If your return flight into Sydney Airport is delayed or canceled, at your first available convenience, phone us so that we may inform you of the next available bus departing the airport. Refer to our “Services” page for more details. No, we do not meet all flight arriving into Sydney Airport. Our first bus for the day can collect passengers arriving as early as 5.00am (05:00hrs) and our last bus for the day can collect passengers arriving as late as 10.30pm (22:30hrs). Each passenger having not more than one (1) large checked-in bag, and one (1) carry-on bag only. For all Domestic flights the airlines require you to be checked-in at least 30 minutes prior to your scheduled flight departure time.We normally book passengers in to arrive at the domestic terminals approximately 45 minutes to 1 hour prior to flight departure time. For International flights the airlines will require you to be at check-in anywhere between 90 minutes to 3 hours prior to your scheduled flight departure time depending on the airline and the destination of your flight. The standard time to arrive at check-in is 2 hours prior to your flight departure time. If your are unsure about what time you should arrive at the airport we recommend you contact your airline direct to ask them what time they require you to be at check-in.